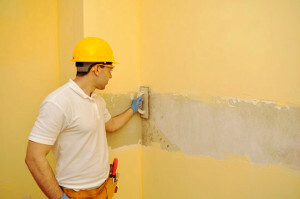 Handyman Painting Decorating Chessington North KT9 | RDA Cleaning & Maintenance Ltd.
We can provide you with professional repairs, maintenance, renovations plumbing, carpentry, painting & more odd job related services, if you are a resident of Chessington North KT9. Our handymen are skilled and equipped to deal with a huge variety of services, including: plumbing, electrics, carpentry, painting, redecorating, as well as a lot of odd jobs for the improvement and repairs of your property’s exterior and interior. The service is hourly based. You can book our handyman for a half or full day, and will get a big discount, and a lot of work done in your home or business premises. So if you want to hire high experienced handyman professionals Chessington North KT9 for your daily tasks then please feel free to call us at 020 3404 1646 or use our online booking service and we will be on our way to do your daily tasks.